Google Virtual Tours create what Google calls a Google Businessview, a premium-quality 360-degree interactive virtual tour, of your business. Google’s 360 degree virtual tour appears on Google Maps and in SERPs (natural search results pages) and Google+. You actually manage all of this from within Google+ – Google My Business. You can even include it on your website like San Leandro Honda has http://www.sanleandrohonda.com/. Its a nice touch for local businesses that want to encourage their customers to “come on down”. Our analytics suggest that it works to convert online visitors into real world visitors. (of course its almost impossible to qualify) But all the other numbers, including sales, support this simple addition to your Internet Marketing efforts. You can also post Google Virtual Tours to your Facebook page and you can email it to your prospects and clients. Think about the email you get today. They are often not very engaging. This is. Click on this link and you’ll see how Google Virtual Tours lets your customers step right into your store from Google Maps, with the simple click of a button > this local business Google Virtual Tour increases customer engagement. It allows you to stand out and differentiate your business from competitors. Where would you shop? A Virtual Tour creates a compelling (emotional) reason to choose one business over another. Wouldn’t you? Bottom line : Your prospective customers are looking for your product online, using a search engine. Google handles 70% of searches. 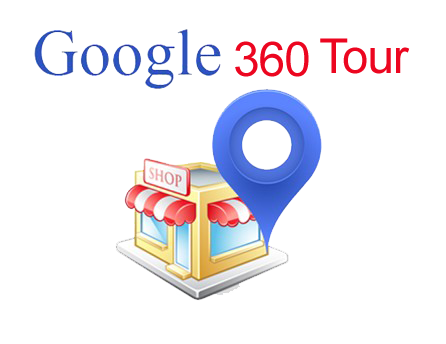 80% of those searches are done via a mobile device, most of which are served with Google Maps. Having your Google Virtual Tour pop up simply makes sense. Get Started and don’t for get to optimize! You can double the effect this has on your search performance with the right tweaks.